Mixcraft includes over 3000 music loops, sound effects, and music beds that can be easily drag-and-dropped into your project. Combine drum, bass, and guitar loops with synth, organ, pianos, vocals, orchestral and percussion loops to create your own custom arrangement. 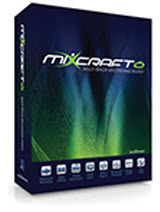 Mixcraft 5 offers 8 powerful virtual instruments and 20 high quality effects. Load and edit video files with ease. Easily cross−fade from one video clip to another. Remix the audio, add a soundtrack, and effortlessly render your video project to popular formats for creating your own DVDs or uploading to YouTube™ and other popular internet video sites. 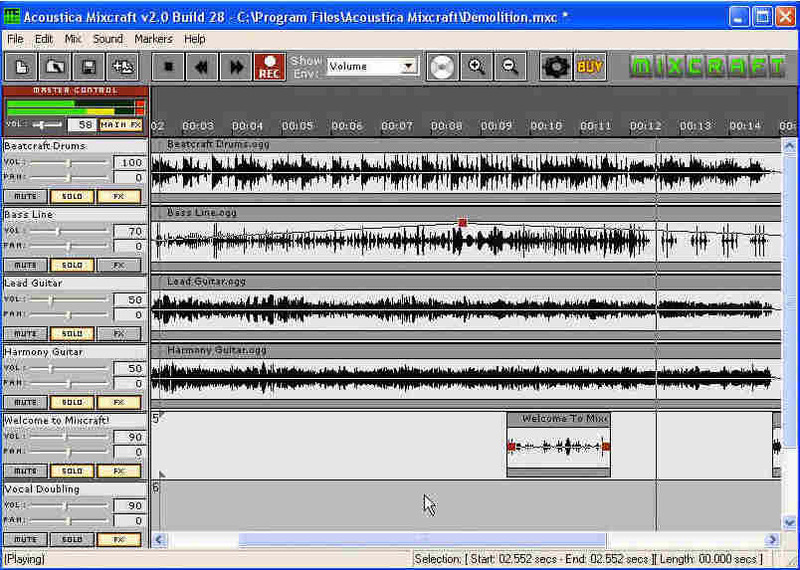 Easy to use multitrack audio/music recording software! Unlimited tracks depending on your computer's processing power! Cutting edge 32 bit sound engine for maximum sonic quality! Full support for 24 bit recording and playback! Read and write high quality audio, including broadcast quality 24 & 32 bit WAV files up to 192 kHz. Import compressed MP3, WMA, OGG and WAV files! Time stretch any file from 25% to 400% without affecting the pitch! No chipmunks! Pitch shift sounds from -24 to +12 semitones! Distortion - Give it some grunge! Track marker wizard - split your LP and cassette recordings automatically into separate tracks! Automatic drag and drop cross-fading! Easy looping tools – Create loops out of sections of other sounds or songs.